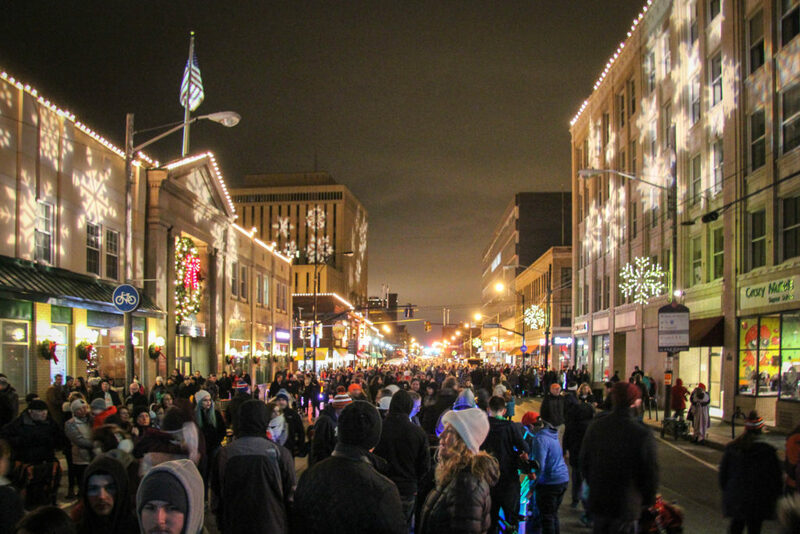 Twinkling lights illuminated Detroit Avenue, fireworks sparkled in the early December sky and a general sense of merriment filled the city’s downtown district. The holiday season is now officially underway in Lakewood. 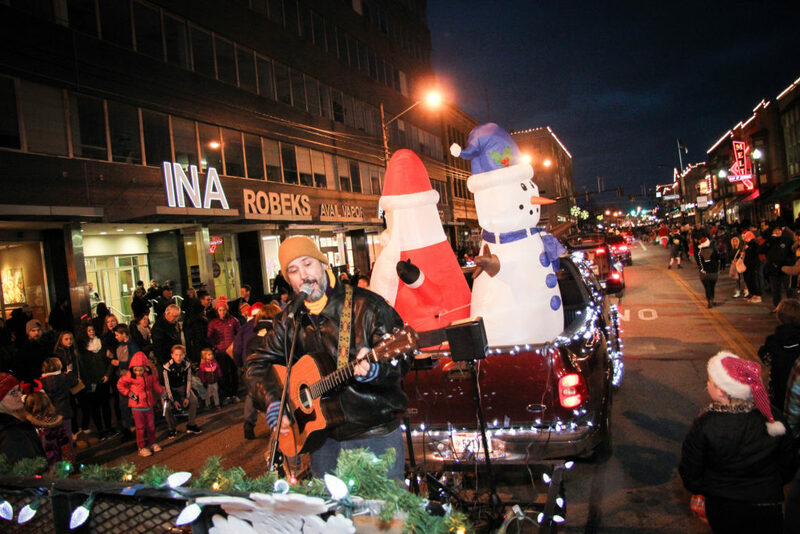 People from across the region descended upon Downtown Lakewood in droves on Saturday, Dec. 3, to partake in the holiday tradition that is Light Up Lakewood. A large, jolly crowd enjoyed LakewoodAlive’s 10th annual holiday community event celebrating both the spirit of the season and the richness of the city’s vibrancy. Following Lunch with Santa Claus at Dewey’s Pizza, the festivities shifted to Plantation Home, where Lakewood High School juniors Sarah Bene and Abe Dalisky were honored as Queen and King of Light Up Lakewood 2016. Sarah and Abe were both awarded $500 scholarships from Plantation Home in recognition of their outstanding service to the community. The doors to Vendor Village at the historic Masonic Temple opened at 4 p.m. and the Holiday Parade stepped off west-bound along Detroit Avenue one hour later. Makorobondo “Dee” Salukombo – a 2008 Lakewood High School graduate who represented his native Democratic Republic of the Congo by running the marathon during the 2016 Summer Olympics – served as Grand Marshall of the parade. The Lighting Ceremony commenced at Lakewood City Center Park with remarks from Mayor Michael Summers and with Poet Laureate Bill Knittel reciting his latest Light Up Lakewood poem entitled “Christmas Secret.” After a crowning ceremony for Sarah and Abe, Sophia Lipowski – a fourth grader who won the “Why I Love Lakewood” essay contest – read her piece, and the Peddlers of Mirth performed holiday carols for the delighted crowd. 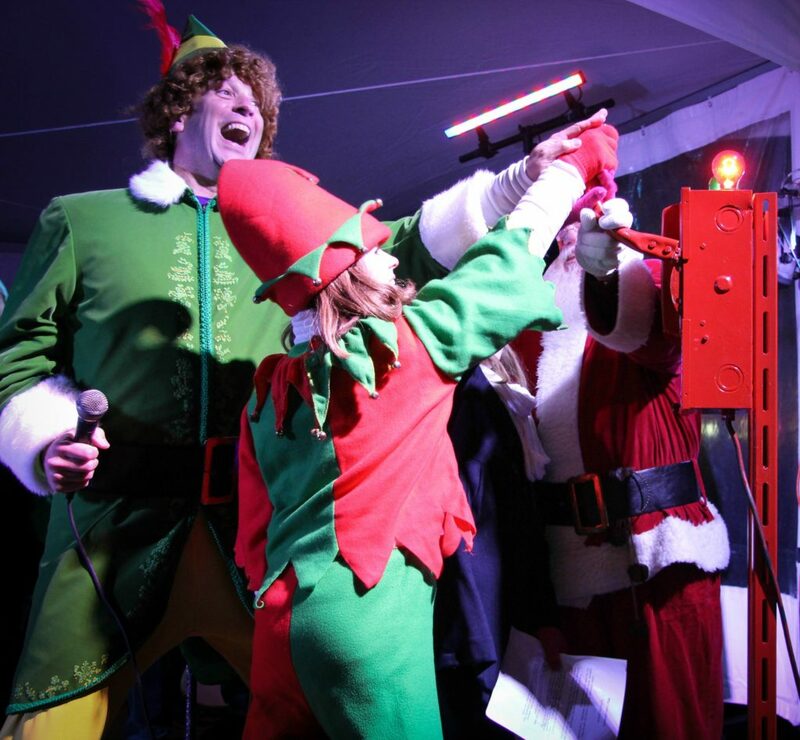 Buddy, Santa and his elf joined Sophia to flip the big red switch and illuminate City Center Park before fireworks erupted over the rooftops of Downtown Lakewood to culminate the festive celebration. 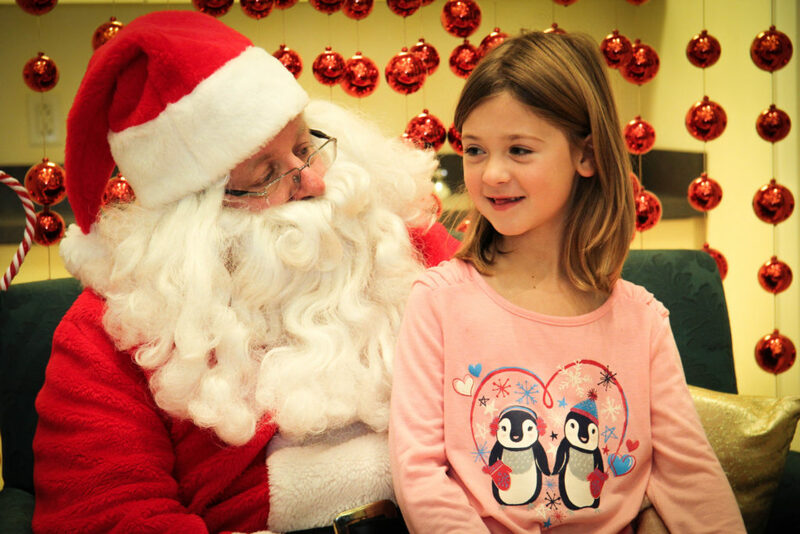 A free, family-friendly event, Light Up Lakewood also included musical performances at Lakewood Public Library and Barton Senior Center, live music courtesy of The Sellouts, outdoor carolers and musicians, DJs, ice carvings, free hot chocolate, food trucks and children’s games. 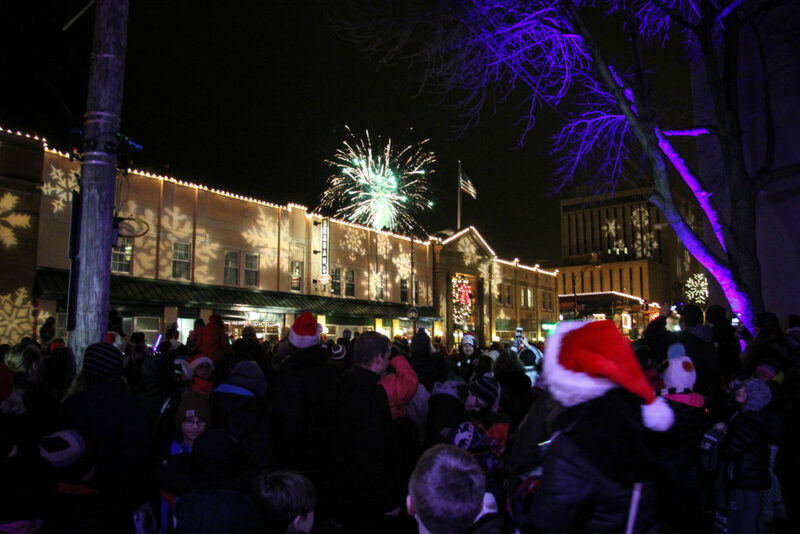 LakewoodAlive thanks the following sponsors of Light Up Lakewood 2016: First Federal Lakewood, City of Lakewood, Lakewood City Center, Convey360, Berkshire Hathaway HomeServices, Discount Drug Mart, Lakewood Anglican Church, Plantation Home, Roundstone Insurance, The University of Akron Lakewood, Barton Senior Center, Dewey’s Pizza, IMCD US, Lakewood Hardware, Lakewood Masonic Temple, Lakewood Public Library, Lakewood Catholic Academy, Beck Center for the Arts, Burgers 2 Beer Lakewood, Dollar Bank, Modelo Dental Care and NEO Realty Group LLC.